I came home from work to what I expected would be a normal evening. I kissed the dog, checked my vegetable garden, dipped my toes in the pool, and considered going for a swim when I noticed that the door was open on the bottom quail cage. I looked around and didn’t see any quail so I called my husband to see if he had relocated them without me knowing. He hadn’t. I looked around again and heard/saw nothing. I was wondering if someone had stolen the quail. Seemed unlikely, but how could 10 quail just disappear? I started my search and finally found signs. In my flower beds I heard a crow and saw some movement. I was able to find 4 quail in my flowers. They were not easy to catch with the density of the plants. 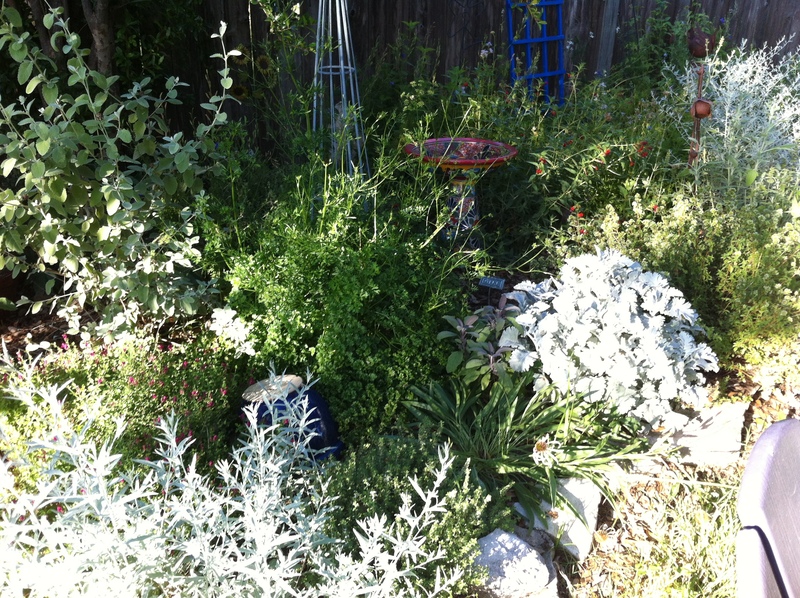 Luckily my larkspur are starting to go, because they got seriously trampled on today. 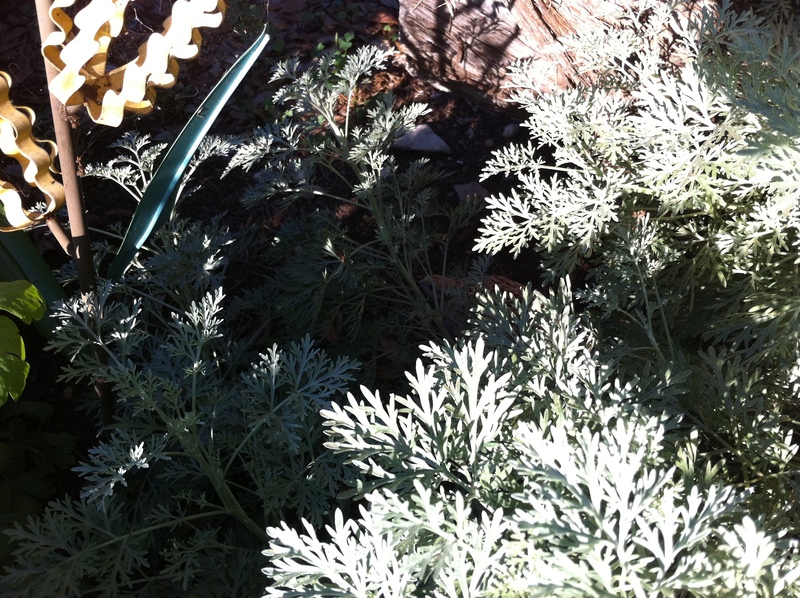 If you look close you can see on hiding in the artemesia. 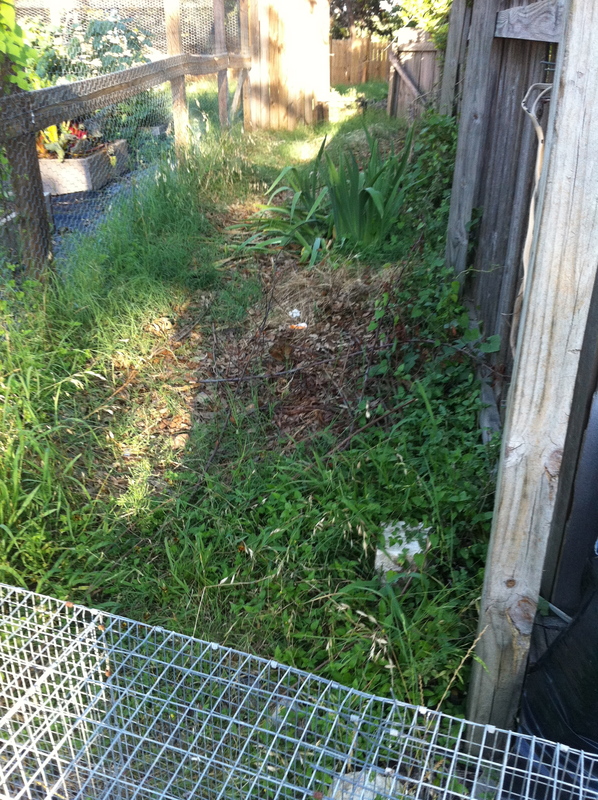 Then I looked over the fence into the back un-fenced area. Three quail were wandering around, happily eating grass. 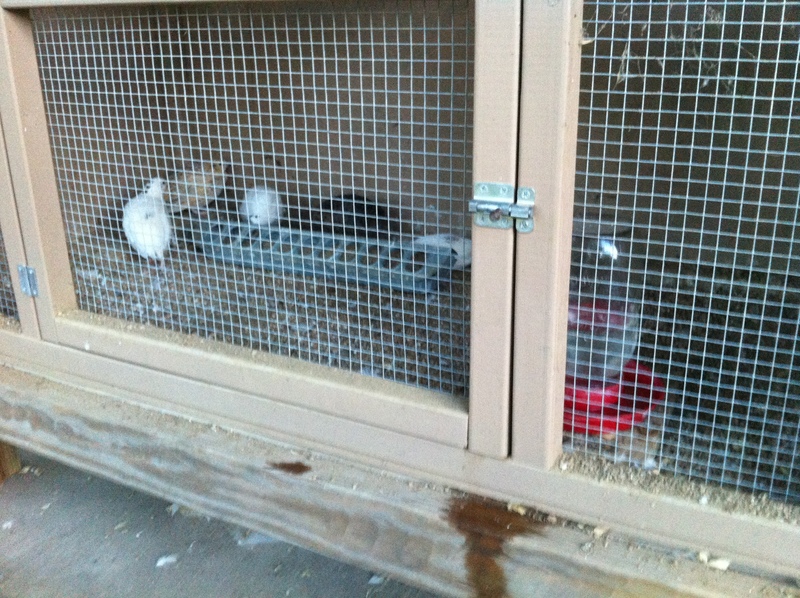 I was able to corner them pretty easily and get them in the cage. Next we moved to the front. We found one, our favorite little tuxedo rooster hiding in the front hedges. This guy was tough to catch. 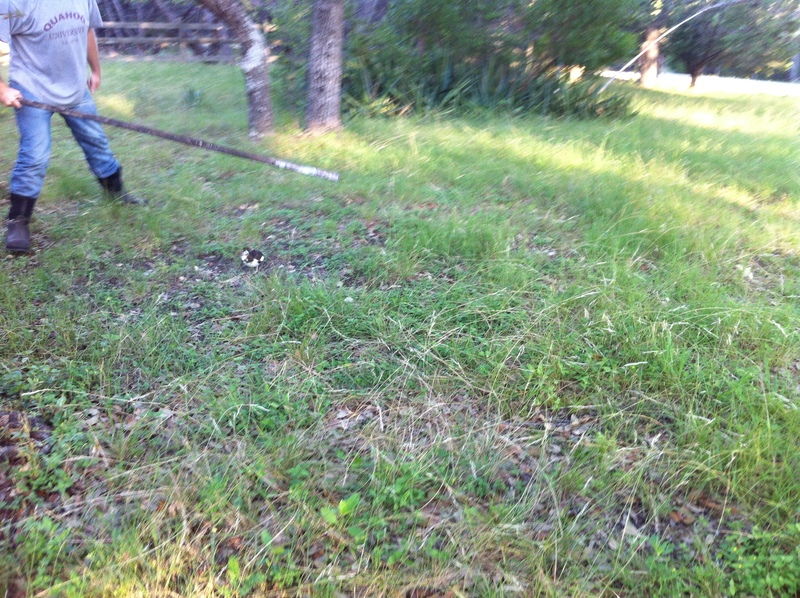 Here is Eric with the stick trying to herd him in. 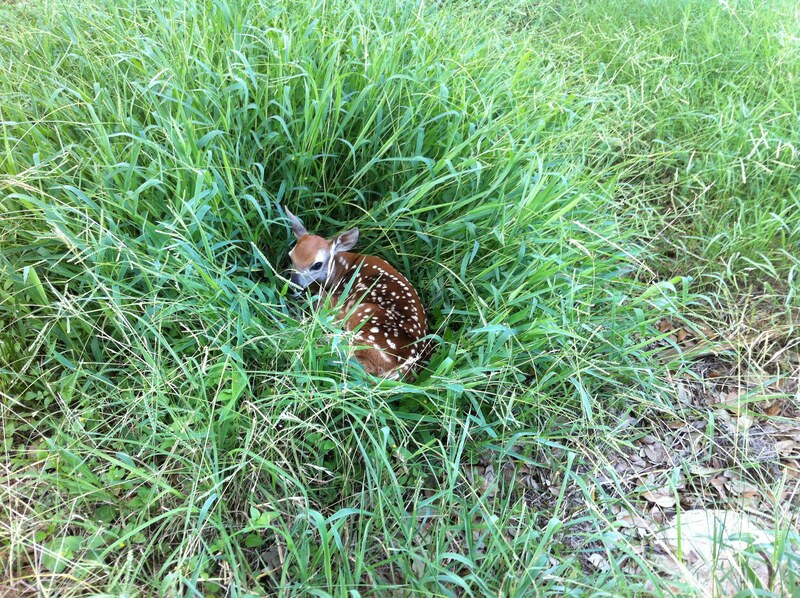 When we were out in the front yard, I came across this little fawn. Looks like momma hid it for safe keeping. It didn’t move a muscle. 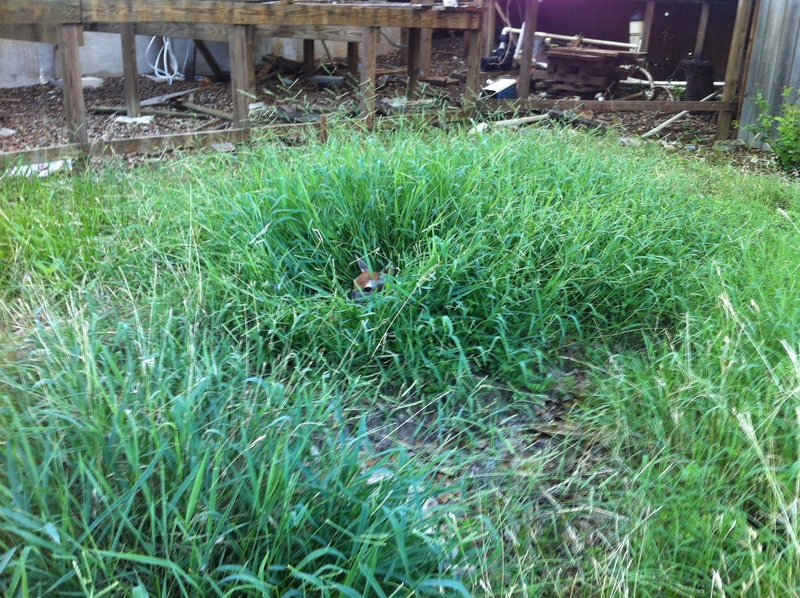 This is exactly why I don’t cut the grass, but once a year. It’s nice to provide a safe place for wildlife. When I was in the chicken yard I found this cool guy too. 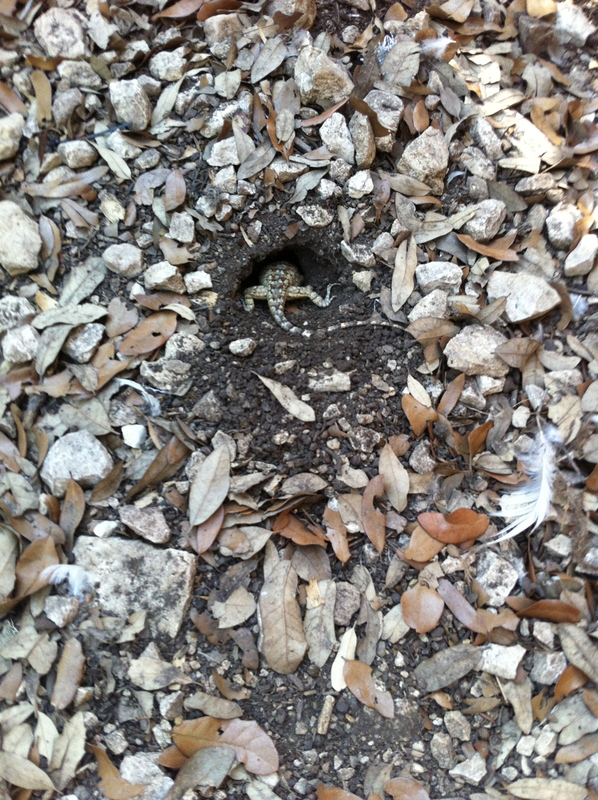 He was so interested in burrowing he didn’t seem phased by me. In all we were able to save 7. We are hoping maybe they will show up tomorrow. So much for cooking, cleaning, etc. I’m exhausted. Well, that sounds like quite an adventure! I asked Richard yesterday if he thought Pansy would let me hold one of her chicks, and he said “You’ll have to catch them first. Good luck with that.” Those little chicks move so fast, I can’t imagine how you managed to round up those little quail. That is no easy task. I’m impressed!